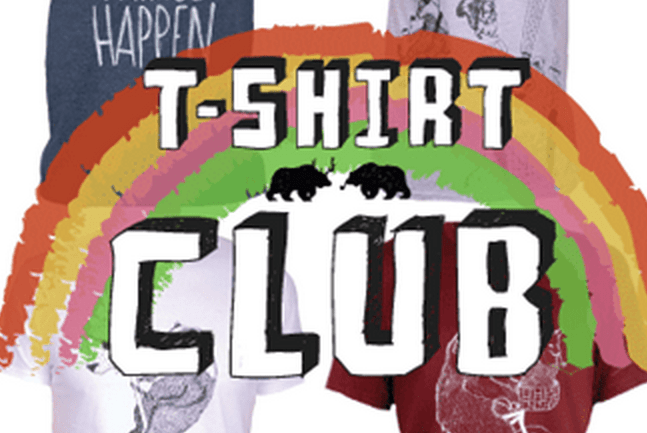 Welcome to T-Shirt club! It’s the gift that keeps on giving all year round! If you’ve ever wondered what to get your dad/brother/son/uncle/favourite next door neighbour for their birthday, Christmas and Easter then look no further! Once you select the subscription length, we’ll post them an amazing hand printed t-shirt every month (at the end of each month) for the duration of their membership! All t-shirts are printed by hand in our Sheffield Studio, and finished with our ‘Don’t Feed The Bears’ woven label. A great and unusual gift! 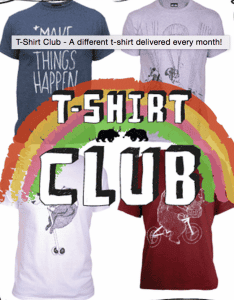 As well as the amazing monthly t-shirt deliveries, the member also receives a personalised membership certificate, with their name and t-shirt club membership information on (perfect to frame and put in any downstairs loo!). It also arrives with a card explaining what they will be receiving and your personal message inside. Select the desired delivery date of the 1st T-Shirt and all other t-shirts will be delivered on (or as close as possible to) that date on subsequent months. How would you rate Don’t Feed the Bears ?